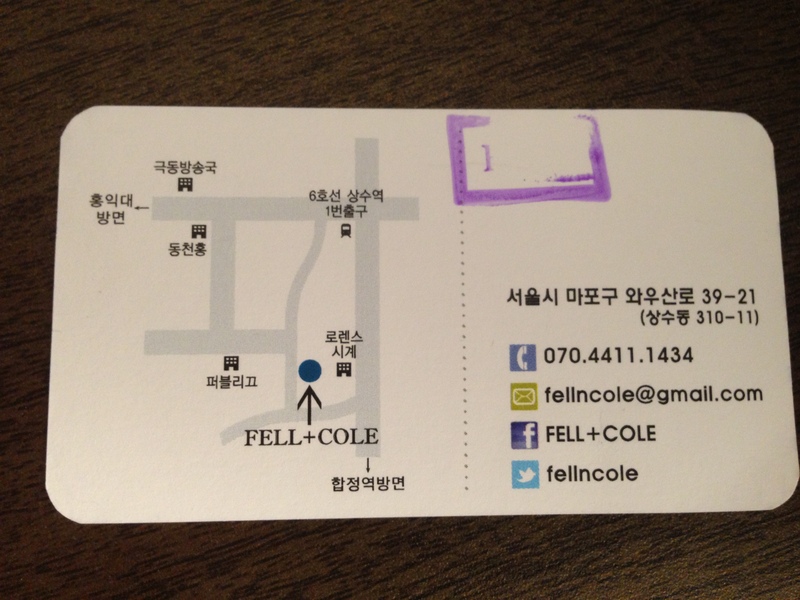 Yesterday, a blurb came up on my Facebook stalker feed that the annoying people from Eat Your Kimchi (an expat Korea blog) went to a gastronomic ice cream parlor in Hongdae called Fell + Cole that sold really off-the-wall flavors. So I decided to give it a shot since it’s blazing hot out in Korea, and I had a taste for something cold. Here’s the easiest way to get there: 1. Go to Sangsu Station (line 6) and take Exit 1 and just walk straight. 2. Turn right on your first street, it’s not a big main road, it’s just a side street. 3. The street will split left and right but just stick right and you’ll hit Fell + Cole. If you’re curious, the name comes from the intersection where the owner lived in San Francisco while studying for his MBA. 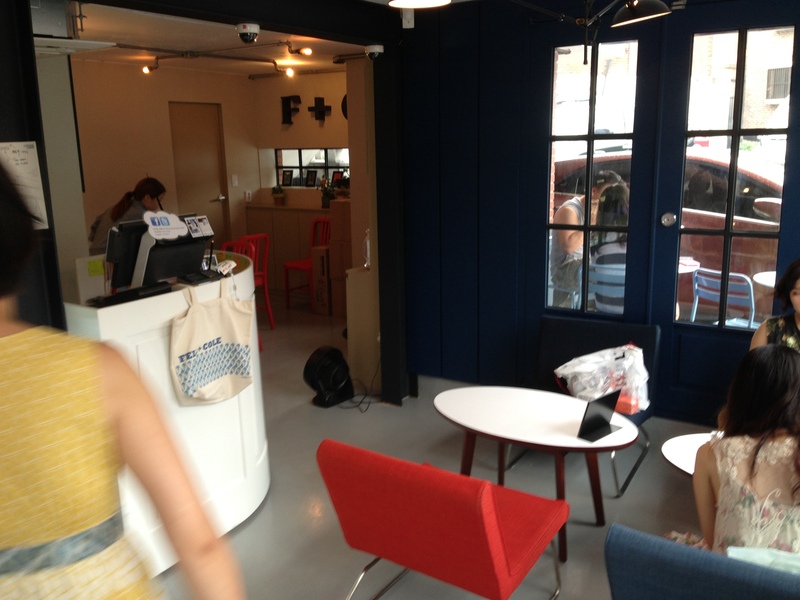 When I walked in, it was a lot smaller than I anticipated, but it was very well decorated with a laid-back Cali vibe. The owner was very friendly and allowed me to sample some of the flavors. 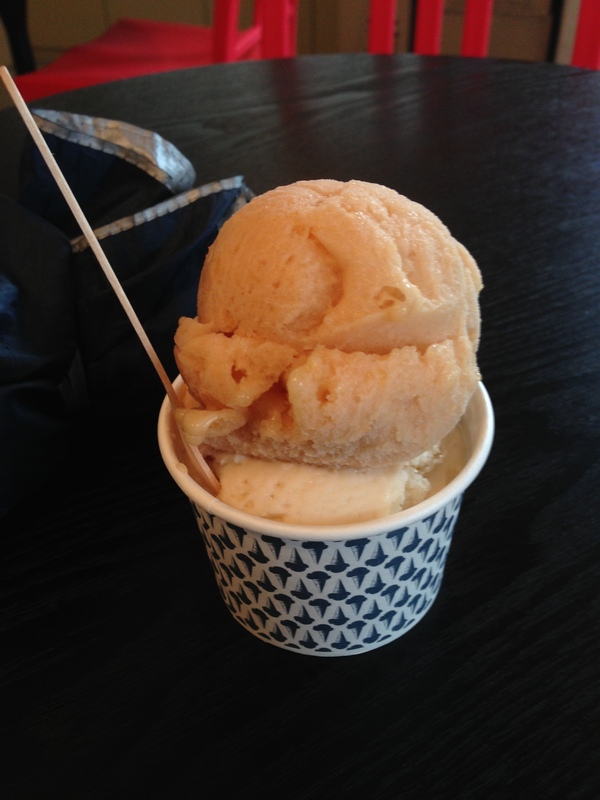 I settled for the double cup (8,000) of Makkeoli (rice wine) ice cream and mango hibiscus sorbet. He gave me two pretty decent scoops, and I was definitely blown away by both of the flavors.The mango was on top, and I greatly enjoyed its tropical sweetness that was paired with a slight floral undertone. 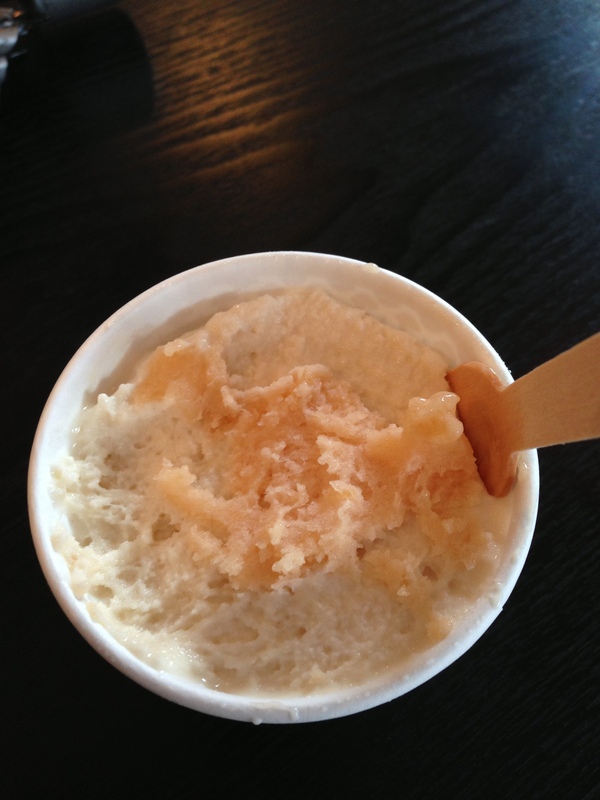 As for the Makkeoli ice cream, I liked it better than the sorbet simply because I don’t know how they made it taste like a mind-blowing, decadent vanilla yet still maintaining that gentle bite from the wine. 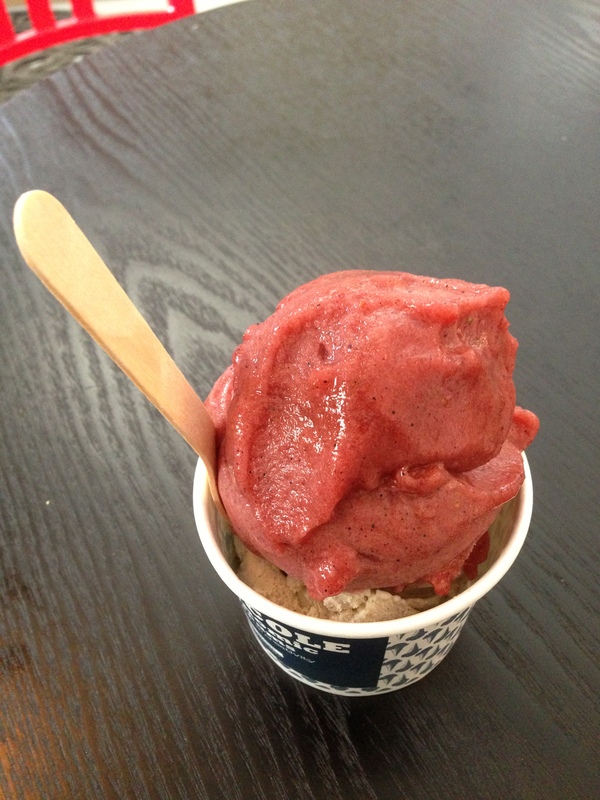 Sadly, they didn’t have their bacon ice cream or their Sichuan pepper cream or their perilla leaf ice cream, but now I have three more excuses to visit this hip and modern boutique of icy delights! 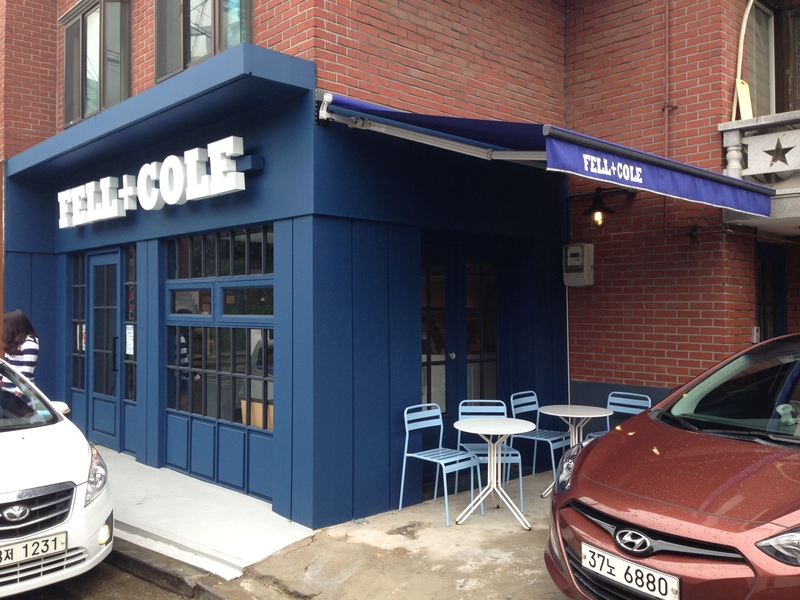 I highly recommend this place to anyone looking for a place to beat the Korean heat. 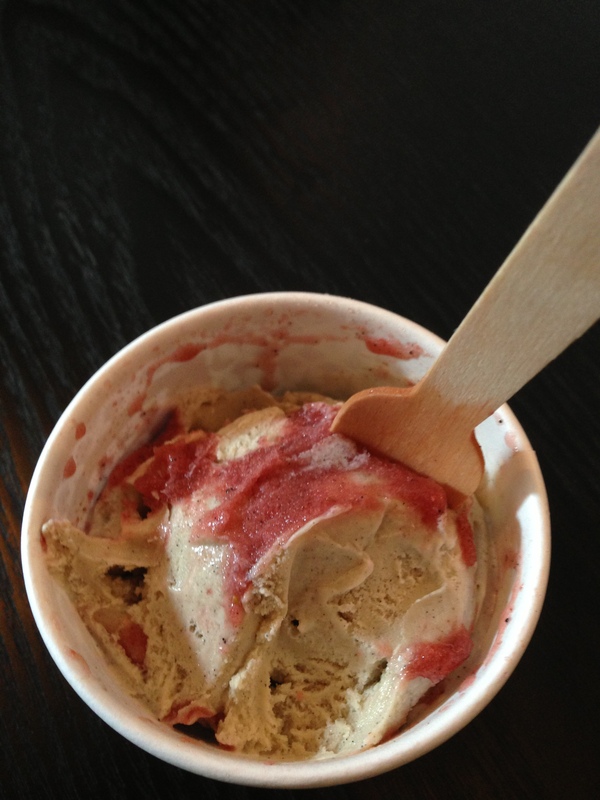 Today they had the type of ice cream that I was expecting from the Cali transplant. 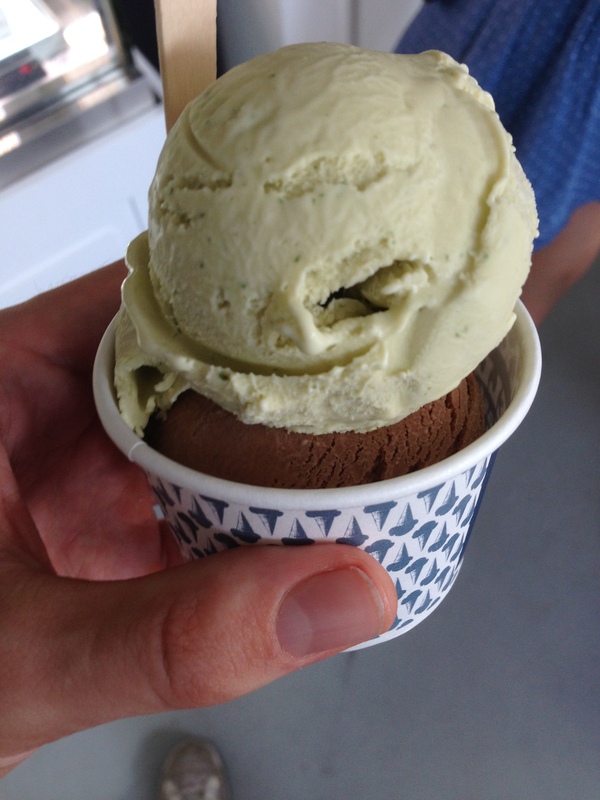 I got a double with a scoop of perilla or sesame leaf ( 깻잎) leaf ice cream and then a scoop of All Black which was a mix of Guinness and chocolate. The perilla leaf came first, and I can definitely say I prefer them deep fried instead of in ice cream form. If they’re eaten deep fried or in ssam bap form (raw), they have a strong, almost peppery flavor, but this dairy version made it taste like I was eating frozen sharp cheddar. I do love my cheese, but it is a bit unexpected and almost unwanted when you’re eating it as ice cream. Once I soldiered my way through that pastel green semi-abomination, I once again stumbled on buried treasure. Just like in my last post, Nosh Pit, the alcohol infused ice cream was better not just because it had a bit of alcohol in it. I love Guinness beer to begin with, so I might be biased. Nevertheless, the bold, black coffee cloak of the Irish classic enveloped the milk chocolate which somehow made my tastebuds do a Riverdance of joy. It was like a run-of-the mill chocolate ice cream that had a boosting agent that both complimented and intensified the cocoa element of the creation. If they ever have the All Black flavor, get it and you will thank your Lucky Charms you tried it. I just want a quick Fell and Cole blurb about two new ice cream flavors I tried: red wine/Sichuan chili pepper and Love Potion No. 6. For other flavors, see Nosh Pit and Where Everyone Should Bee.